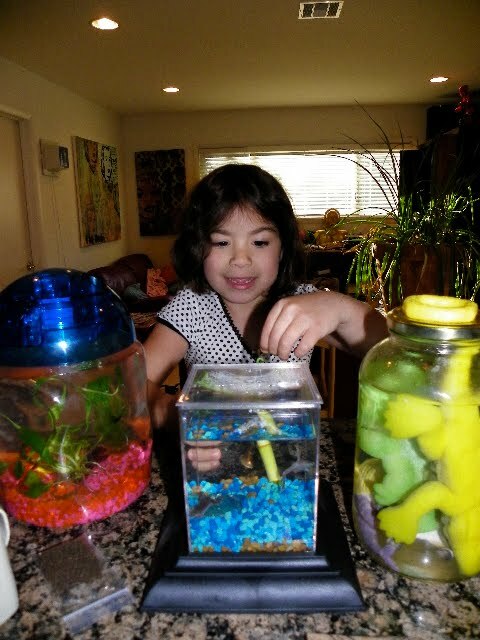 Wild Creations EcoAquariums are a fun and easy way to learn more about frogs, up close and personal. Roo's kindergarten class recently adopted some African dwarf frogs so when we were given the chance to get some of our own, we jumped at the opportunity. 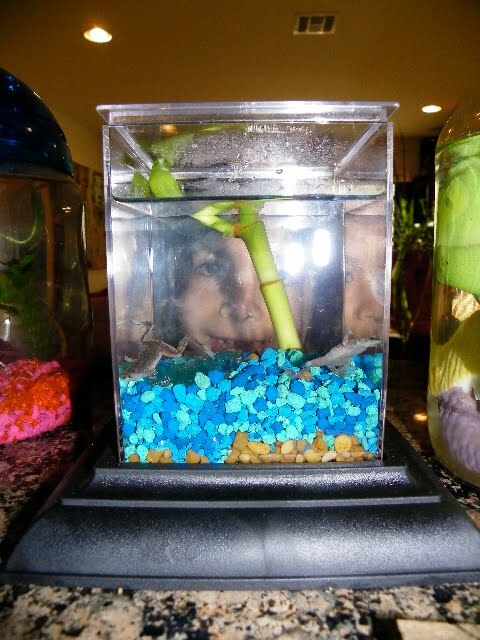 Wild Creations EcoAquariums are 4" square self-contained aquatic habitats that contain two African dwarf frogs. 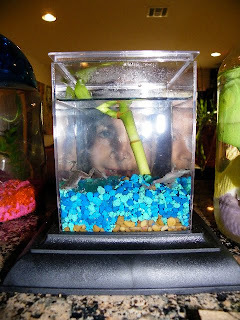 The frogs only need to be fed twice a week and the water only has to be changed quarterly, so they're ideal pets for even the most forgetful families. 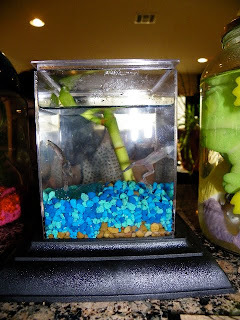 Our Wild Creations EcoAquarium sits next to our betta fish on our breakfast bar in the kitchen. (The other jar is full of grow-in-water toys.) 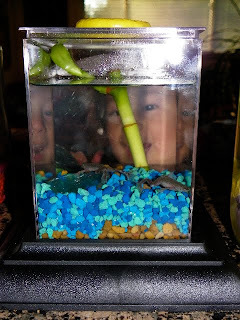 Roo and Jasper named our frogs Star Wars and Courtney and they are pretty lively little guys. 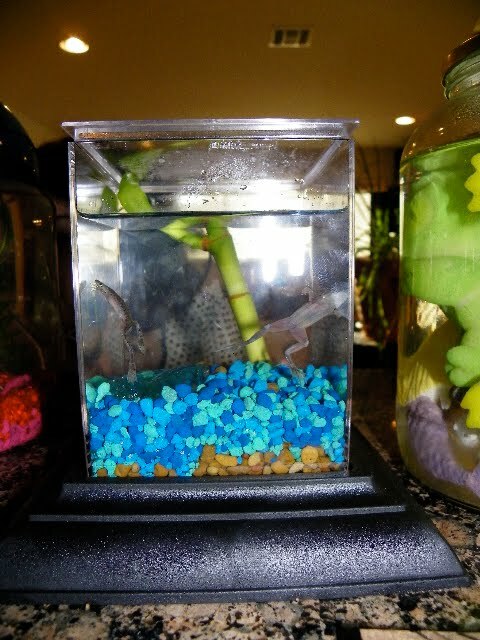 The kids love to feed them and sing songs to them. I like to discuss meal planning with them. No, not really. But I swear they do interact with us more than I expected them to. 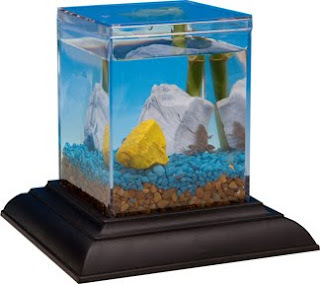 To enter and win your own Classic EcoAquarium, please comment on this post with your favorite item from the Wild Creations catalog. Entries will be accepted through May 26th and I'll pick the winner using Random.org. US readers only are eligible. For an additional entry, like Wild Creations on Facebook, subscribe to the Wild Creations YouTube channel, subscribe to the Frog Blog, post my button on your blog (see code on sidebar), follow my blog, follow me on Twitter, fan me on Facebook, fave me on Technorati or subscribe via email or subscribe via reader. Leave an extra comment letting me know what you did for each additional entry. 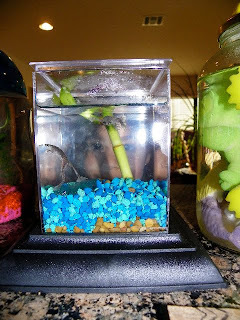 That jellyfish lampquarium is pretty awesome - but here's lots of neat things in there! Like the jelly fish lampquarium! I liked Wild Creations on Facebook. We got one of these to test too. Absolutely love it. Perfect pet for NYC. I "Like" Wild Creations on Facebook! Also, I subscribe to the Wild Creations YouTube channel. 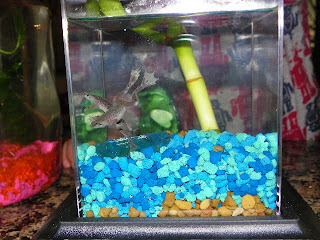 I subscribe to the Frog Blog! Also, I am an email subscriber to your delightful blog! via my Google Reader Page! My son is into robotics right now so the Rc micro-bot, catches my eye. I like the lunar projecting alarm clock. The Jellyfish Lampquarium would be cool in my oldest son's room. I love the jellyfish aquarium! My favorite item would be the Mega Bubble. That would such a fun thing to have at a party! I'm a facebook fan/liker of Wild Creations. I love the jellyfish lampquarium. I'm going to have to buy that! I follow the frog blog. I subscribe to your rss feed in my yahoo reader. The children would also love the Heli-Car. Hi my favorite item is definitely the Jewel frog all in one package kit! I'm a fan of wild creations, and I'm a fan of yours. I would really love to have the jellyfish lampquarium. the crystal growing trees in the catalog!! The Wallace and Gromit Cracking Alarm Clock is so cool. Thanks for the giveaway. So many cool things in their catalog!! The Crystal Growing Trees sound like fun!! I subscribed to the Frog Blog through google reader. The mega bubble looks so fun! I like the fun Heli-Car! I like teh Jellyfish Lampquarium!